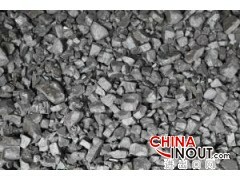 Ferrosilicon 75% HP (High Purity) is an alloy which is produced by combining around 75% 75% of Silicon and 25% of iron. This product is manufactured from selected raw material with high purity degree and rigorous quality control, which guarantees wide homogeneity among lots. This grade is used in the production of grain-oriented electrical steel as well as steels requiring low level of Aluminum, Carbon, Calcium, titanium, boron and other residual elements. This product is used in grades of steel where high purity, low residual input are required. Destined to the production of electrict transformer scores, power generators and other electrict equipment.